When I was working on Bystander, I kept running across different quotes by Martin Luther King, Jr. He would often express the same idea in subtle variations. 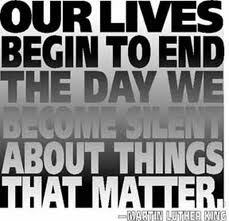 Dr. King issued an indictment against the tyranny of silence, reminding us all of our responsibility to speak up. 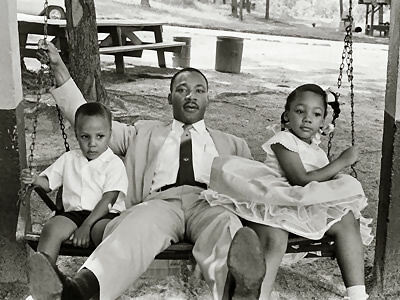 King believed in the common good. He had an abiding faith in his fellow man. If only we would stand up to be heard, then justice and democracy and human kindness would surely prevail over cruelty and prejudice. Thanks for this book and for your insights into the importance of human kind to care of human kind. I am a new 6th grade teacher at an IB school in Florida (and part of starting a whole new middle school at that!) and am starting the year off with discussion and exploration of your book and the themes within. Any guidance you are willing to provide would be so appreciated, as I’ve never taught students at this level and want to do justice to starting the year off on a positive note concerning our learning community and how we conduct business respectfully from the very start. If ever you are in St. Petersburg, Florida, we’d love a visit from you!!! Thanks so much!